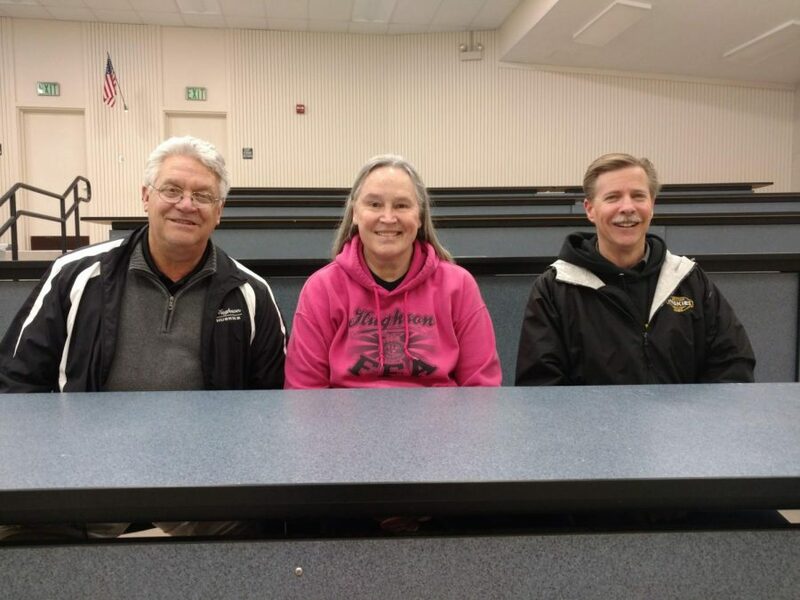 Principal Debra Davis, Assistant Principal Gary Larson and Athletic Director Andy Reese have all announced their intentions to leave their roles in the Hughson High School office next school year. Collectively they have over 109 years experience in education and 63 years as administrators at HHS. Debra Davis, who has worked for Hughson Unified School District for 38 years, 32 of those years serving as principal, announced her retirement to the high school staff on January 23 at the high school’s late start meeting. 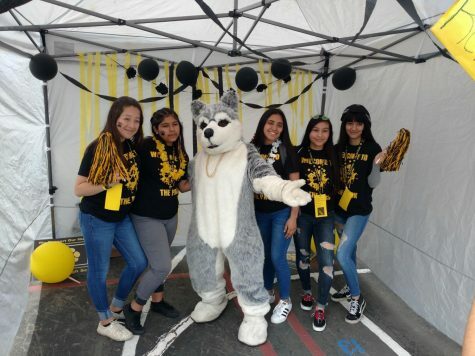 Davis, who has been the only principal any of the staff of Hughson High School has ever known, has been a driving force behind the school, its culture and its community. Davis has dedicated much of her life to the school staying hours beyond the normal workday to make the school the success it is today. In the 38 years that Davis has worked at Hughson High School, she has attended almost every football game the school has ever had, only missing three games in 38 years. She tries to attend as many of the other sporting events as she can throughout the year as well to support the students. Davis herself was a coach for Hughson High athletics for many years coaching both basketball and volleyball. While coaching basketball, Davis had the opportunity to fly [in an airplane] to a game, play in both old Arco and the Oakland Coliseum, earn the first section championship in any sport – boys and girls for Hughson High School, and have her team be ranked third in the state for two years in a row. When she first started at Hughson in 1981, she was hired by then-Superintendent Dr. Marvin Stewart and then-Principal Randy Heckman, now currently the Hughson Unified School Board President to work as the coordinator of the independent study program. Six years later, in 1987, she would secure the principal position that she still holds to this day making her one of the longest-running principals in California, not only serving as a principal but also remaining in one district for the duration of her administrative career. 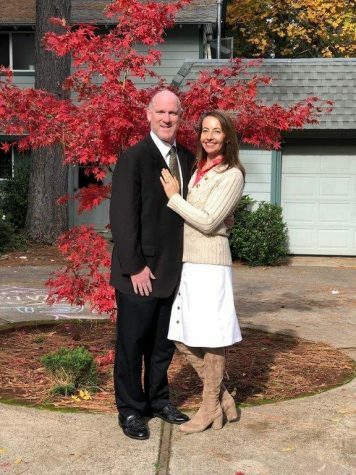 “When Debra first came to Hughson, she brought her volleyball expertise and love of sports to the game, winning multiple titles and giving the sports program such a boost. 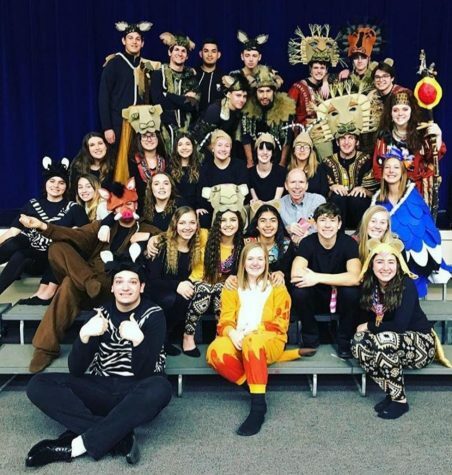 When she became principal, she instantly took to the job putting students’ needs first and focusing on what was best for the kids,” said Barbara Rose, Davis’ former secretary for 27 years. For many of the staff, Davis has not only been a champion and advocate for the students, but she has also become like a family member that the staff both love and respect. 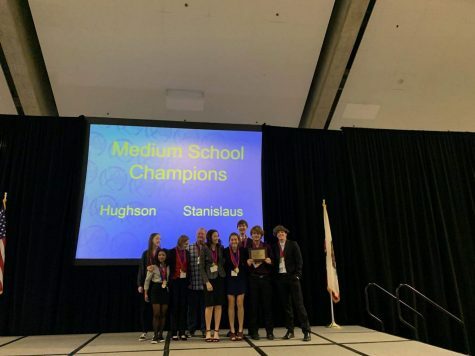 As her legacy at Hughson, Davis hopes people will remember her as a hard worker who had the best interests of students always first in mind, and as a person who would look toward the future growth of the school without forgetting the great past that makes the school such a great place to be. Moving towards her own new future as a retiree, Davis plans to travel and finally get some rest and relaxation. 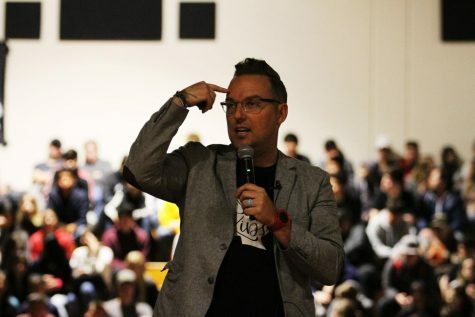 For Gary Larson, Assistant Principal, his journey with Hughson School has been very similar. Larson was hired in 1985 as the Hughson High School band director and served in that position until 1988. 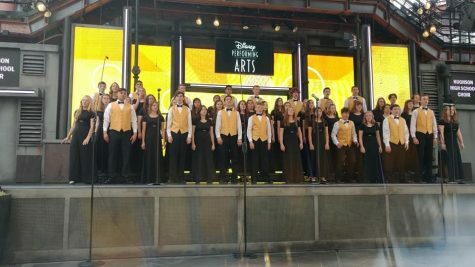 After teaching band at HHS for four years, Larson then moved to work at Hilmar High School, where he served as Principal until his return to Hughson as an administrator in 1997. His administrative time at HHS has been spent as a Learning Director, Athletic Director, and as Assistant Principal. He has worked alongside Davis all of these years and even announced his retirement at the same time she did. “While there was a lull in the clapping [for Davis during the staff meeting] Gary announced his retirement too,” recalled Amy McAndrews, AP history teacher. 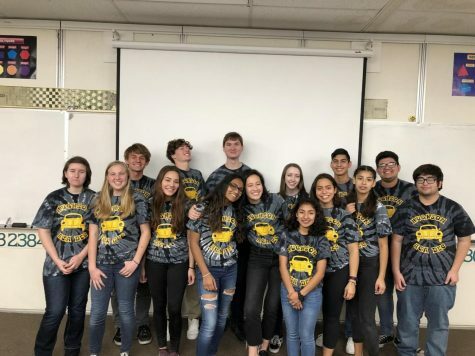 Larson is one of the first to arrive at Hughson High School every morning at 6:00 a.m. and meets every morning with Davis to discuss the day’s agenda and plan. He is then one of the last to leave. Larson is responsible for activities at the high school such as all of the state testing, SATs, PSATs, ASVAB, Advanced Placement tests and school-wide testing. He also coordinates all of the work-experience classes with students and is a learning director for all ninth and tenth-grade students. Larson’s positive demeanor is a common attribute that the staff and community mention when discussing him. After retiring from Hughson, Larson plans to travel on a schedule that is flexible and no longer determined by the school year calendar. 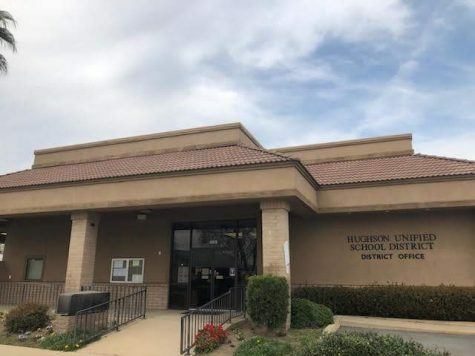 Although Andy Reese, current Learning Director as well as the Athletic Director, is also set to leave the HHS office administration, he will continue to work for Hughson Unified in a different capacity. Reese, for the past several years, has served as the acting Administrator-In-Charge for Alternate Education schools in the district and will now split his time continuing to be the administrator-in-charge there as well as a part-time biology teacher and AP biology teacher at the high school. He is also looking forward to his return to the classroom as a biology teacher. Reese volunteered to go back to the classroom after seeing a need when budget cuts forced Ken Rickard, the previous biology teacher to leave the district. Since Rickard’s departure, HHS has been without traditional biology, instead offering only Ag Biology – also an A-G approved biology course. 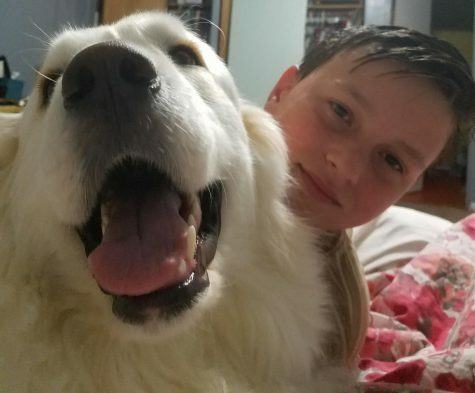 Returning to the classroom will have a unique set of obstacles for Reese, but one he is optimistic to embrace. The district is now challenged with finding replacements for the principal position as well as the assistant principal position. Reeses’ job will not be filled with another candidate to help alleviate some of the financial hardships the district is facing. 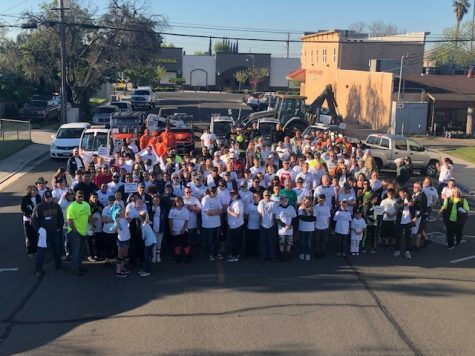 Although Hughson High School will be moving into the future, it will not forget its past nor the contributions that this administrative team has made to Hughson High School. Reese is just about to embark on a new chapter of his career, but for Davis and Larson they have created a legacy at Hughson that few will ever forget. This is a beautifully written, articulate, informative article. It is well-researched and positive. Thank you for sharing with the community this great story of three people who have been dedicated to the success of generations of youth in our community. Great job, Alex!